The Renaissance town hall an other historic buildings on Republic Square. 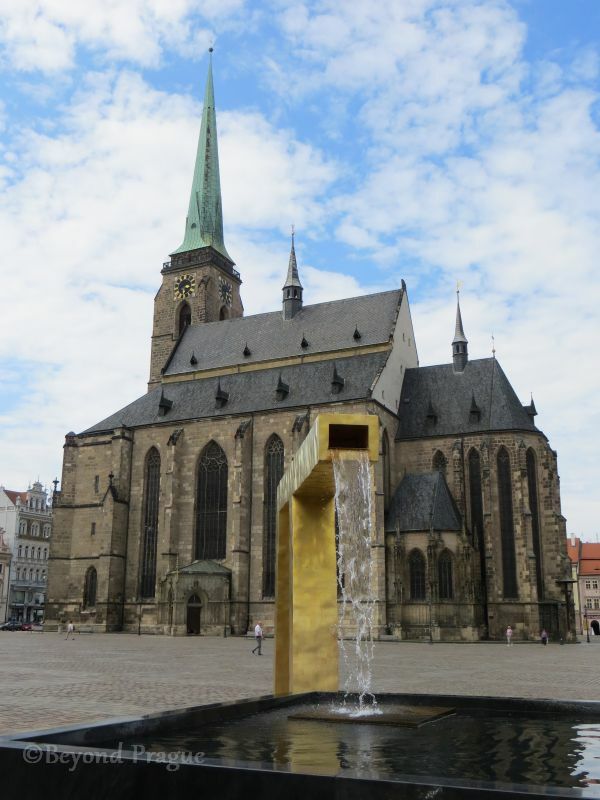 Located in the western reaches of Bohemia, approximately 90 kilometres south west of Prague, lies the city of Plzeň. This is a city that has played a significant part in not only a number of national historic events, but also several international ones. It is also the birthplace of two iconic Czech brands known worldwide: Pilsner Urquell and Škoda. First mentioned historically in 976 and officially made a municipality in 1295, the city has served as a centre of business and trade from its earliest days and played a very important role on the trade route linking Bohemia to points in Bavaria. Plzeň was the nerve centre of Catholic anti-Hussite activity during the Hussite Wars which lasted from 1419 to 1434. It was beseiged three times during the Thirty Years War; successfuly by German forces between 1618 and 1621 and unsuccessfully by the Swedish in 1637 and 1648. The city saw a significant surge in industry through the latter half of the 19th century that included the establishment of the Škoda Works in 1859, a company that would grow to become the country’s largest and most powerful engineering company for a number of years. The late 19th century also saw an influx of Jewish families to the city which created an additional cultural influence in the city alongside residents of Czech and Germanic ethnicities. Plzeň was geographically part of the Germanically influenced Sudetenland area. After the end of the First World War and the establishment of a free Czechoslovakia, there was a strong movement within the region to be made geographically a part of Austria rather than Czechoslovakia. Despite being made part of Czechoslovakia, Germanic influences remained and are still visible today alongside Czech and Jewish influences. In fact, perhaps the most obvious sign of retained Germanic influence can be seen by the use of the old German spelling of the city’s name “Pilsen” for international purposes. It doesn’t take long after arriving in Plzeň to realise that it’s a city that wears its history on its sleeve. Saint Bartholomew’s Cathedral, the city’s Gothic centrepiece. If you’re a fan of architecture, Plzeň has much on offer for you. It is quite possible to organise your own self guided tour of various districts of the city that have notable architecture in them. The centre of the city has been a cultural heritage preserve since 1989 and a host of different architectural styles are readily visible both in the centre and points beyond. Baroque, Classicist, Gothic, Modernist, Moorish Revival, Renaissance and other styles intermingle with each other to give Plzeň a very unique architectural face. 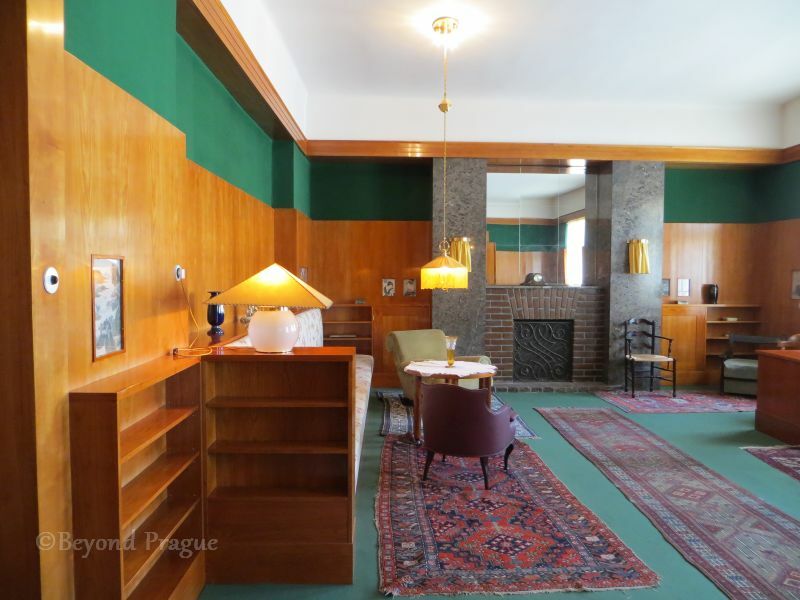 A very popular attraction to visit while in Plzeň is a series of restored Modernist interiors that some of the city’s wealthy industrialists from the interwar period commissioned from famed architect, Adolf Loos (1870-1933). The Loos interiors are notable for their spaciousness, a hallmark of modernist style, and the variety of high quality materials used in their construction. Exotic woods along with high grade stone and glass figure prominently in the interiors. Looking into one of the Loos interiors. It should be mentioned that if you wish to visit the Loos interiors, it is best to book ahead as they are popular and tours fill up quickly. Additionally, tours are not an everyday occurence. As many of the people who commissioned Loos to create these interiors were from the city’s Jewish community, they represent more than just the Modernist architectural style; they also represent the influence of the Jewish community in Plzeň from the late 1800s until the Second World War. Beyond the Loos interiors, the Jewish influence gave the city two other Architectural gems; one you have to look for and the other you can’t avoid: the Old Synagogue and the Great Synagogue. The Old Synagogue is towards the south west corner of the centre and tucked away from view in a courtyard near Smetana Park. It is possible to view the interiors of the Old Synagogue and a unique monument to victims of the Holocaust. On the western edge of the centre, you’ll find the monumental Great Synagogue with its eye catching Moorish Reivival facade and interiors. This is the largest synagogue in the country, the second largest in Europe and the third largest in the world. Besides being a stunning architectural attraction, it is without a doubt the city’s most visible testament to the wealth and influence the city’s Jewish population had prior to the Second World War. 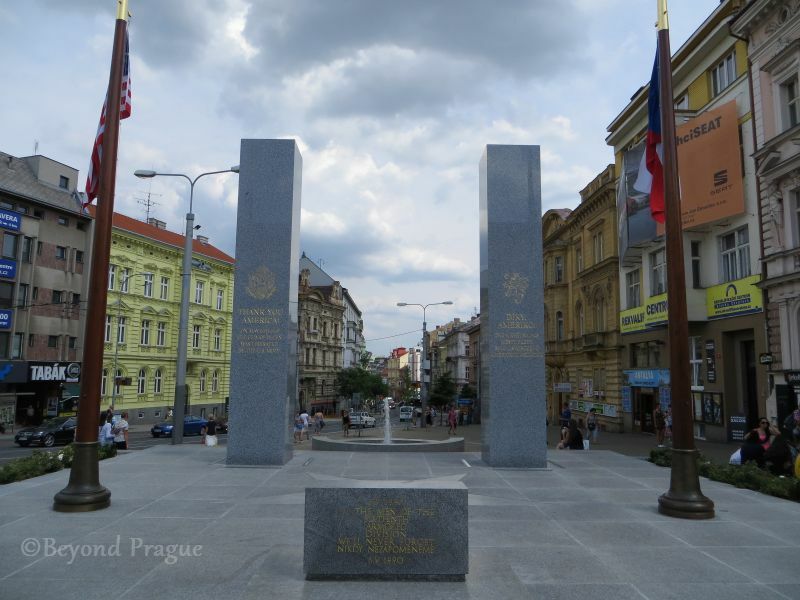 The monument to American military units who liberated the city in 1945. A short walk from the Old Synagogue will lead you to the monument to the American army units who liberated the city in May of 1945. Plzeň continues to show gratitude for its liberation in the present through its annual Liberation Festival in May. The festival includes a convoy of historic vehicles and many people in military uniforms of the period. If military history is your thing, a visit to the city in May could be worth looking into. The city also has a museum dedicated to General George Patton, who led the liberation. However, the museum has been closed for renovations since May of 2018. The meditation garden on the city’s southern edge. After a day of walking around and taking in Plzeň’s attractions, you might want to take some time to relax a bit. The city has a number of parks you could use to take a breather, but one is particularly special. On the city’s southern edge, you’ll find the meditation garden that includes a memorial to all victims of evil. 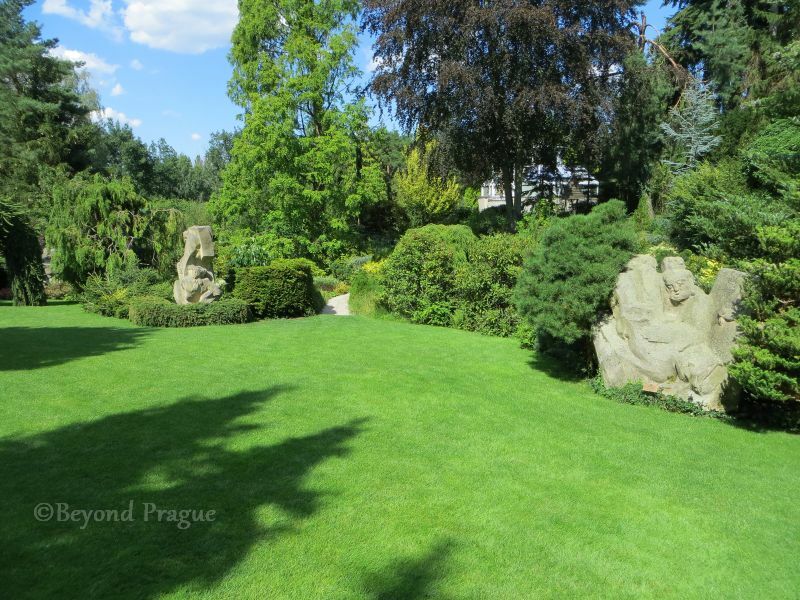 The beautifully landscaped and tranquil garden was the life’s work of Plzeň resident Luboš Hruška (1927-2007). Hruška was a soldier who was caught while trying to escape the newly Socialist Czechoslovakia in 1949 and was sentenced to 18 years of hard labour. He was transfered through a number of prisons and labour camps before receiving an amnesty in 1960. As a result of the cruelty he endured and saw others endure in prison, he resolved to convert a fruit orchard he had inherited from his parents into a monument to all victims of evil regimes. Upon his release, he set to work clearing that land and learning the fundamentals of landscaping and plant care. The garden includes a number of different plant species as well as pilgrimage path with 12 unique sandstone sculptures as well as a chapel. The garden can be reached by public transport and some walking. 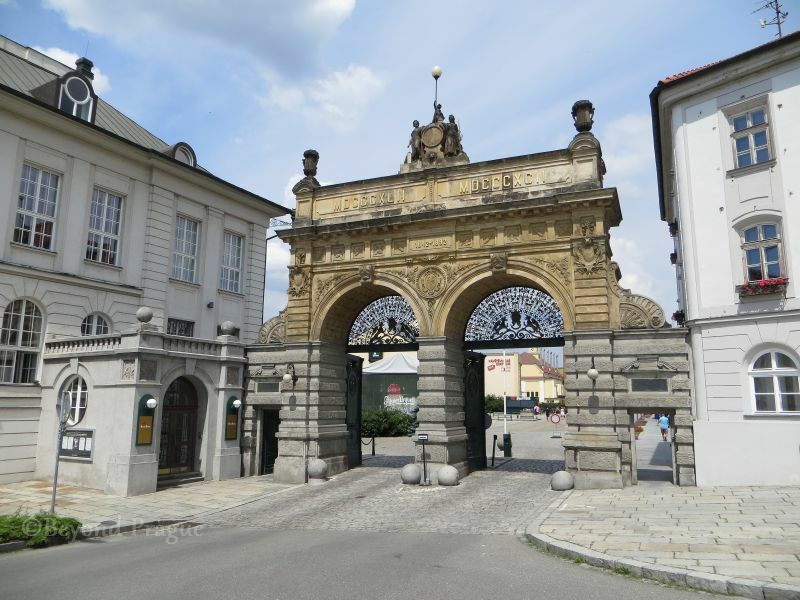 The trademark main gate of the Pilsner Urquell brewery. Even though I’ve written a dedicated blog post about the legendary Pilsner Urquell brewery, which is a major tourism draw in the city and I heartily recommend visiting it, there’s more to Plzeň and its beer culture than this most famous of beers. Beyond the brewery, there is also a beer museum in the centre of the city in the old municipal brewery building. Additionally, there is no shortage of pubs around town where you can try a wider variety of beers. Definitely have the Pilsner Urquell experience while you’re in Plzeň, but by no means limit yourself to that one brand. 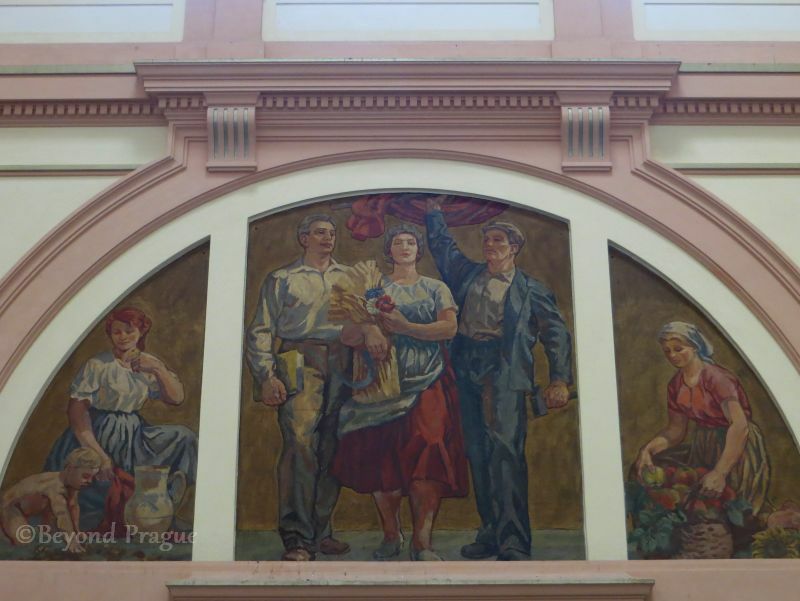 Another echo of the past can be found in the Socialist Realism art prserved in the main train station. 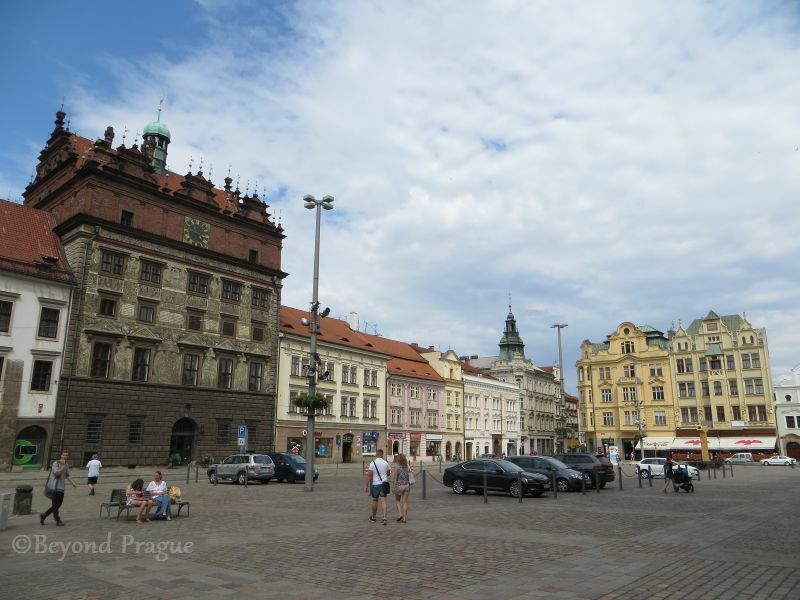 Over all, Plzeň has a fairly relaxed atmosphere and doesn’t come across as touristy. It has a respectable range of accomodation and dining options to suit a variety of tastes and price ranges. The main toursit information office is beside the town hall on Republic Square and is stocked with a good range of souvenir items and brochures for attractions. We found the staff friendly and helpful. While Plzeň is well connected by both rail and bus to points of interest around it, getting to the city itself from points further away can be time consuming. Travelling by train from Brno took us roughly five and half hours each way and involved a transfer in Prague. The trip was worth it, but quite long relative to the physical distance between Brno and Plzeň. I have it on good authority that the trip takes almost as long by car.